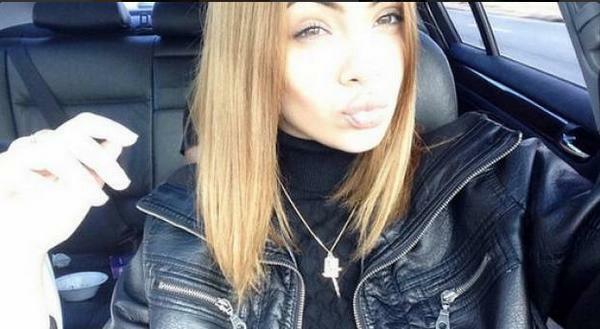 Mirjana Puhar, an contestant on ‘America’s Next Top Model,’ was killed on Tuesday. She and her boyfriend were found dead in his home in Charlotte, North Carolina. The 19 year-old ANTM hopeful recently began dating 23 year-old Jonathan Alvarado, but just began living together according to a TMZ source. A friend of the couple went to check on the duo after it was reported that gunshots were heard on the property. Inside the home, the friend found Mirjana Puhar and Alvarado dead; money was scattered across the floor. The pal immediately called police. When the cops arrived a third body was found. It is reportedly Jonathan’s best friend and roommate, 21 year-old Jusmar Gonzaga-Garcia. Charlotte-Mecklenburg Police Department confirmed they believed drugs were at the root of the murder. They also noted the couple knew their killer. An arrest has been made. 19 year-old Emmanuel Jesus Rangel has been charged with 3 counts of 1st degree murder. Mirjana competed in Cycle 21 of the reality show, which aired in 2014. She was eliminated from the running during the 10th episode. Fellow contestants Keith Carlos and Chantelle Young (a.k.a. Winnie Harlow) also joined Tyra’s social media statements. Our deepest condolences to friends and family who were impacted.